Welcome to our 5-minute guide to the best 12 person tents for 2019. So, you want to go camping, but you don’t want to be erecting 4-5 tents for your group? There’s a range of brands offering some top quality 12 man tents, and we’re going to uncover which ones are the best, and why. Which Type Of 12 Person Tent Do You Need? First, you’re going to need to decide which type of 12 person tent you need. Budget – The Cheapest 12 Person Tent Possible! So, we’ve split this buying guide into the sections mentioned above (in that order). 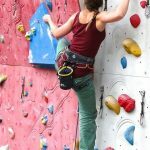 If you know exactly what type of tent you’re looking for (or are restricted by budget), jump straight over to that section. 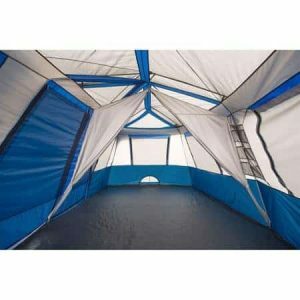 First up, we’ve got a cool option for those looking for a 12 person tent that needs to have a screen room. 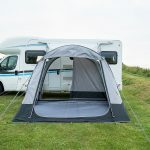 Most people look at the sleeping arrangements when buying a tent, forgetting that it also needs to be social, and for that you need an area to sit. 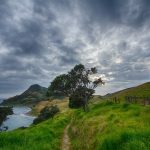 After all, whilst we’d love every camping trip to be rain-free, that’s rarely the case. If you’re looking for a tent with a screened porch – our top pick? 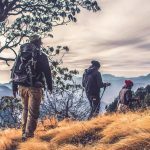 Let’s jump straight to it – how much does the Ozark Trail cost? Whilst this isn’t the cheapest 12 man tent available, it weighs in at just over $200, and that’s more than reasonable. Given the average 2-man tent costs around $50 (so, $25 per person) and has little or no social space, the Ozark Trail offers excellent value for money, at less than $20 per person. OK – this is why you’re here – so let’s talk about the screened porch on the Ozark trail. The screened porch isn’t big enough to fit 12 people in it. What it does do is offer two things for you happy campers. Firstly, it offers a place to neatly tuck away your gear, hiking boots and more – before you enter the main living space. And, that means your main living space is going to be kept clean and dry. Next, when the rain, wind and cold sets in, you’ll be able to use the screened porch area to open up the living space slightly. For example, if you’re sitting round playing games in a circle, 3-4 people will easily be able to fit in the porch, leaving more free space in the main living area. So, if you expect cold or wet weather, it’s an essential part of your 12 person tent. That’s not the case with the Ozark Trail 12 man. The main living space has a head height of 6ft 5”. Unfortunately, that is at the center, so there’s a slight drop in that height as you creep towards the edge of the tent. That said, being a cabin tent, that drop in height is barely noticeable, except for right at the edges and corners. I’m not sure about you, but there are at least two things I hate about camping. Putting up my tent is one. The second and most annoying; taking it down! The poles here are pre-attached. It’s already done for you. Each grab a corner, slowly walk outwards and the tent basically erects itself. All that’s left for you to do? 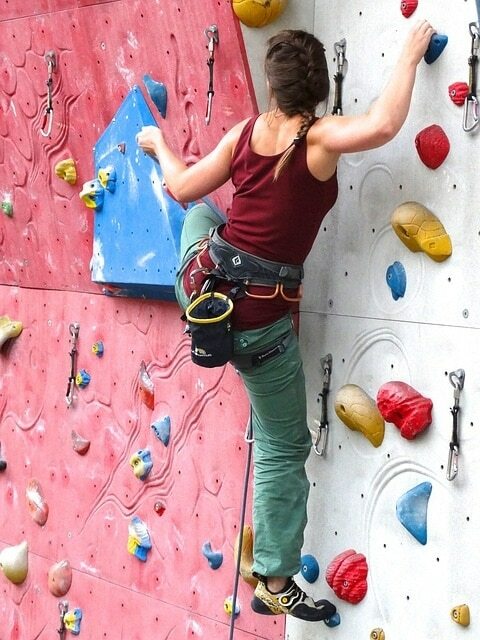 Get the pegs out and start hammering! Ozark suggest around 2-minutes. Maybe a little optimistic. But, if it takes your group longer than 5 minutes to erect, you’re probably doing it wrong! With most basic cabin tents, you’ll find there’s a lack of natural light. I’d assume that’s because the material to create windows costs more money than generic canvas. That didn’t seem to bother Ozark, as they’ve fitted windows on all sides. And that means you’ll get plenty of natural of light flowing through the tent throughout the day, and enough to catch a sunset/sunrise – if that’s your kind-of-thing. Who Should Buy The Ozark 12 Person Tent? The Ozark Trail is bursting with features. Large groups that don’t want to waste time setting up – erect in less than 5 minutes! All types of terrain and seasons throughout the year. 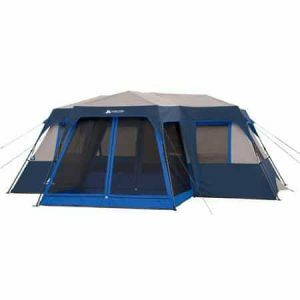 If a screened porch isn’t a necessity, then a bog-standard 12 person cabin tent is going to do the trick. 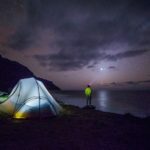 Well, we say “standard”, but our recommendation here is actually one of the best 12 man tents on the market, and the one I’d choose if I had no need for a screen room. Now, if you’re on a tight budget and looking for the best cheap 12 person tent, skip over to the next section. The CORE 12 person cabin is the most expensive of the three tents we’re recommending. That said, we think that it deserves it’s price tag, which is over $300 at RRP. That’s around $25 per head. Basically, the same price as if you each split a $50 2-man tent, but let’s bear in mind many of these 2-man tents have no real “living” space. 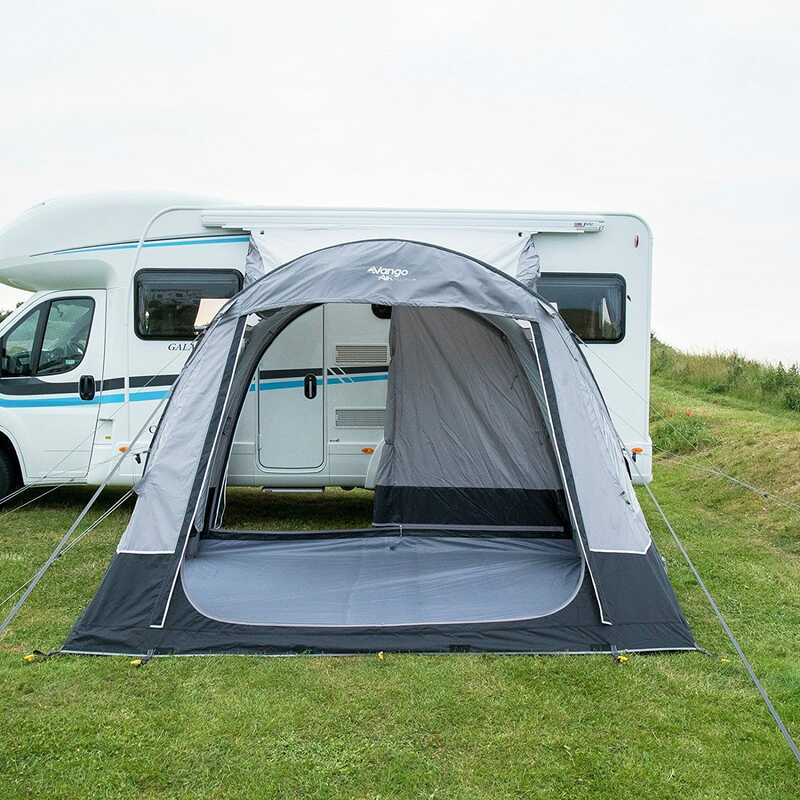 If you’re in a slightly smaller group, there is a CORE 11 Person Cabin Tent on offer. And, if you go ahead and purchase that, you’ll be paying around 30% less than the 12 man’s current price. Out of all the best 12 person tents we’ve come across, the CORE Cabin certainly has one of the best overall review ratings. The first thing you’ll notice with the CORE 12 man tent, is that the head height is more than adequate. Like the Ozark, it’s cabin designed. This means that head height is (almost) maintained throughout the tent. It’s only at the edges and in the corners where there’s a small difference. If you’re a taller person and struggle with head height in other tents (like me), you’ll love the CORE. It’s just over 1 inch taller than the Ozark at 6ft 6” high, making this one of the tallest tents on the market today. Different camping groups have different room requirements. That’s why CORE have made sure that the tent layout isn’t fixed. Instead, the room dividers are removable. So, you can go from 100% open-plan, right over to a three room setup in a matter of minutes. The CORE 12 man tent is similar in terms setup time as the Ozark Trail. It’s a pre-assembled frame. So, it’s really a case of 4+ people in your group grabbing and corner and slowly moving outwards. 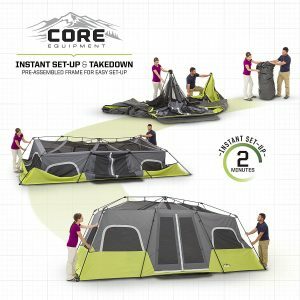 According to CORE, you should be able to setup this tent within 2 minutes. Compare that with traditional pole tents, where you could be talking about a timeframe of 1 hour or more! Ever put up your tent in a rush and realised the door is facing the wrong way? Or, you find the perfect pitch. Then, you come back from a hike only to find another group has pitched annoyingly close to your tent door? OK, maybe it’s just me ? Anyway, if that happens to be the case, no worries. The Ozark Trail has two points of entry! A lot of groups tend to go for a screened porch, mainly for the extra storage space. However, with the CORE there’s plenty of storage space built in. For instance, you’ll get a storage loft, and a total of 4 pockets. That’s plenty of room to be storing your groups’ gear. One thing you’ll find in a big family tents over smaller tents, is that there’s a lot of moisture build-up. That’s why CORE have focused on integrating an advanced ventilation system. Not only does this combat moisture build up in the cooler months of the year. In the summer months, it helps to ensure everyone stays cool. And the weather protection on offer is as good as the ventilation. 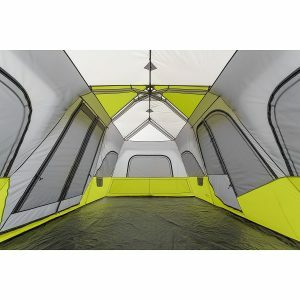 The CORE 12 person cabin tent incorporates H20 Block Technology. That’s a fancy way of saying it’s water-resistant. Who Should Buy The Core Cabin 12 Person Tent? 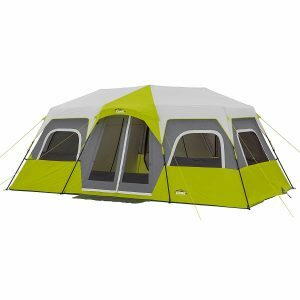 Basically, if you can do without the screened porch on offer from the Ozark Trail, then this is going to be the best 12 person tent for you. Finally, if you’ve been checking online reviews trying to find the best cheap 12 person tent, we’ve got a good option for you. You won’t get the screened porch that the Ozark Cabin has (although there is a small canopy), but you’ll get just about everything else! So, here’s our recommendation for the best cheap 12 person tent. And that makes perfect sense, given that apart from the screened porch, it’s basically the same as the Ozark we’ve mentioned above. So, the only real difference here is the price. For all other details, refer to our first recommendation (the Ozark Trail with porch). The price is where the main difference lies here. You’ll be saving around $100 in comparison to the CORE, and around 20% in comparison to the Ozark that does include the porch. You wanted cheap? You’ve got it! 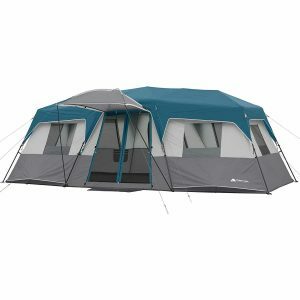 Who Should Buy The [Cheap] Ozark 12 Person Tent? 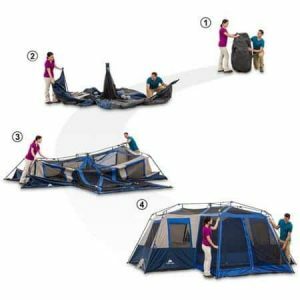 If you’re on a budget and don’t need a screened porch, this is the best family tent for you. You’ll get all the features of the screened version but save yourself a few dollars in the process. 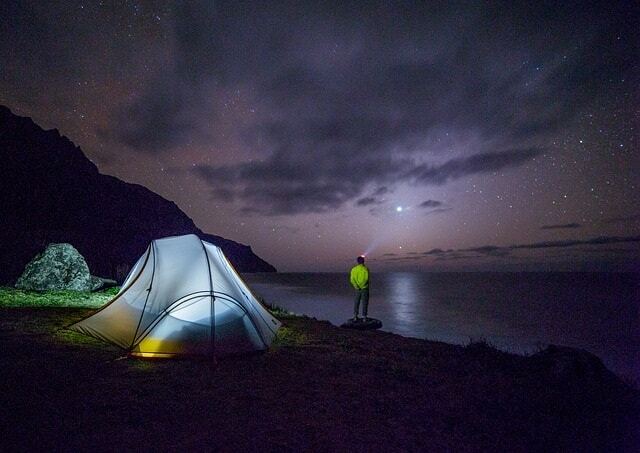 Thanks for reading our 5-minute guide to the best 12 person tents on the market. Love the camping as much as me? 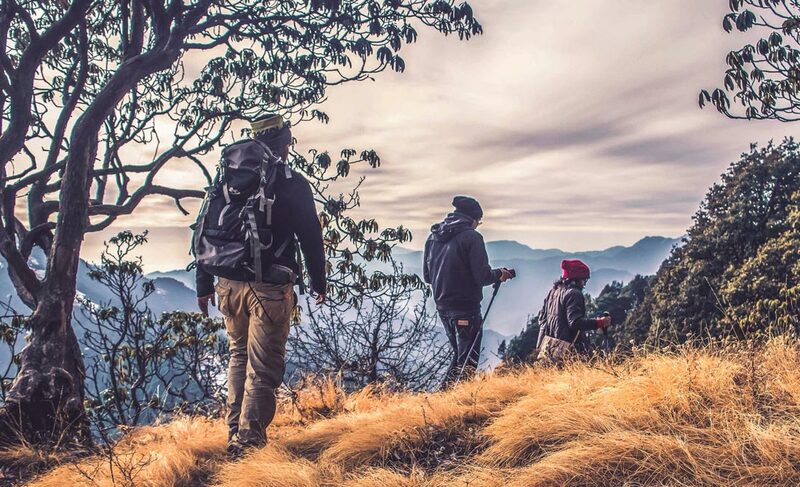 Bookmark our outdoors page and pop back soon. Oh, and don’t forget to jump on our email list – I’ll drop you a line when I post up something mildly interesting ?